Is Peace of Mind For Your Business Worth $21 a Month? As a photography business owner, do you have good insurance that can protect you and your work? You want to have a plan that is simple, affordable and tailored to meet your business needs and Next Insurance does just that! Next Insurance offers Professional Photographer Insurance with prices ranging from $21 - $42 a month! Each plan will give you piece of mind and help you focus on what you do best... taking amazing photos! With a Next Insurance plan, you can show your client easily that you carry professional photographer insurance by quickly downloading their Certificate of Insurance that is online. They also offer a payment plan so you can keep your business running and insured at the same time - the payment plan does not cost you any extra! You can even cancel instantly online anytime! How simple is that?!? See more about their Pro and Pro Plus plans here. This would be handy if you drop your lens while shooting on location and it cracks. Next Insurance will cover the replacement value, or the current cost to replace the lens. If you are at a photo shoot with clients and your light stand falls and injures someone.... If that person sues, Next Insurance would cover it! You may be having a photo shoot at a clients home and accidentally spill coffee on the clients expensive rug. If they end up suing you for damage, Next Insurance has you covered! If someone gets injured while you are shooting, instead of suing you they want you to pay their medical bills. No problem... Next Insurance will cover it! As a photographer, the thought of packaging and shipping your finished product may be the last thing on your mind. If you have prints for sale on a personal website or your business website, knowing how to professionally package your work to deliver to your clients is very important. Your packaged prints or framed photographs may be what prospective customers see in a gallery or what you send in the mail. No matter what, you want to be sure to use packaging materials to keep your photos safe and looking professional. Everything that you do with your business is a reflection of your brand... that includes your investment of time and the care that you put into packaging. From the materials you use to wrap and protect your prints to the container used for delivery or shipping, you are building a relationship with your customers. An ideal packing list includes rigid backing to support your prints and, if possible, high-quality archival material for long-lasting protection. There are so many different ways you can package and ship your prints, so what you choose to do for your business is really just a matter of preference. Today, ClearBags is going to tell you about a few packaging solutions to help you create an awesome finished product that fits your brand as well as some ideas for shipping. How can you package your photography so that it looks professional and inviting to your customers? A simple method is to place your prints into a clear plastic bag along with a piece of rigid backing to keep it from bending. You can also hinge your prints to matting to enhance your presentation. Your final package can also include additional touches that reflect your personal style. What makes one package stand out from another is the quality of materials used. Here are some ideas of art packaging supplies that you can use. The higher the clarity of your plastic bags, the better your presentation. 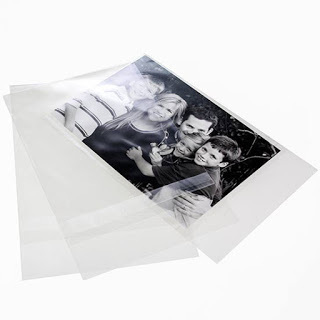 Clear archival plastic bags made of Biaxially Oriented Polypropylene, or BOPP for short, have set the industry standard for clarity and they are archival safe. Archival BOPP bags show off your prints in high definition while keeping your product well-protected. While paper folios and paper cases are some other options, BOPP bags are less expensive and allow your art to shine through. Protective Closure Bags - made with the resealable adhesive on the body of the bag instead of the flap. With this design, the adhesive does not stick to your prints when pulling them out of the bag. Flap Seal Bags - flap seal bags have the adhesive on the bag flap. These bags allow you customize the height by folding the flap past the opening of the bag, allowing more flexibility. The downside is that the adhesive may catch on your print when removing it from the bag. No Flap Bags - As the name suggests, these bags have no flap. They also do not have any adhesive; they are sealed on three sides and open on the top. Many people like no flap bags because they are easy to use. The downside is that they are simply not as secure because there is no way to seal the bag closed. When considering all three of these options, protective closure bags are considered the most ideal for packaging photography. The location of the adhesive on the bag makes it easy to remove and insert prints without doing any damage or harm making it a popular choice. When you are packaging your work, you also want to make sure the bag fits appropriately. Loose bags may look tacky and thrown together where a properly fitted bag looks more professional. Plastic bags vary in size and in depth to accommodate all types of products including ones that have a backing or photos that come matted or framed. When selecting a bag size, check the amount of depth needed with any additional backing or matting that the specific product includes. Some people like to buy a bigger bag altogether to fit more than one print inside. This could be a good option for customers who order multiple prints. Canvas and framed photography pieces will require thicker and more durable packaging to be sure that it stays protected and our Canvas Gallery Wrap bags are the perfect solution! These bags are sized to accommodate the depth of a canvas or frame, are laminated for extra strength, and are designed with an oversized flap. Like protective closure bags, the adhesive is on the body of the bag so it won't come in contact with your art. The laminated material still retains high clarity for a professional presentation and keeps out moisture and harmful elements. The longer flap is helpful as it allows you to adjust the fit as needed. You can use these bags to package a single framed piece or hold a group of smaller prints together. To determine which of these options makes the most sense for your work, consider the level of protection needed and the thickness of the print. Foam core is available in 4-ply and 2-ply thicknesses and can be completely archival or just have only archival surfaces. This type of backing is quite rigid and sturdy for mailing prints and can later be used by your customers for framing. You may prefer a solid white or black foam core board to the appearance of cardboard. On the other hand, a heavy-duty corrugated pad or chipboard may be exactly what your piece requires. Do include this essential piece to your package to keep your prints from bending or creasing. A beautiful mat will really allow your print to stand out and could increase your sales potential. For a gallery presentation, the presence of a mat may be the determining factor in making a purchase. For a mailed package, customers may attach a higher value to a matted piece and result in a future purchase. Slip-in mats - Slip-in mats are great if you want something quick, easy, and efficient. With slip-in mats, the mat is already affixed to the backing. Simply slide your print into the opening at the top of the mat and you're all set - no tape or adhesive is needed to secure your print. As slip-in mats are relatively new, these are usually available in small sizes in black and white and cost a bit more than other mats. Pre-cut mats - If you need more choices, you can find a wide selection of conservation-grade and decorative (non-archival) pre-cut mats in popular and larger sizes. If you don't need archival packaging, decorative pre-cut mats are a cost-effective way to add a splash of color to your presentation. Custom mats - You may have a customer who has something in mind or an original piece that requires specific sizing. This route allows you the flexibility to dream up whatever color and size you desire to create your masterpiece. You can also create a unique experience by pre-printing your signature directly onto the mat. You might also try using mounting tape for a quick and convenient way to mount your prints to backing board. Your final product packaged beautifully wouldn't be complete without your very own personal touches. This is where you can show off your own brand or business. You always want to include your business card so the customer has your contact information. You could also include a personal note or photo to the client thanking them for their order. 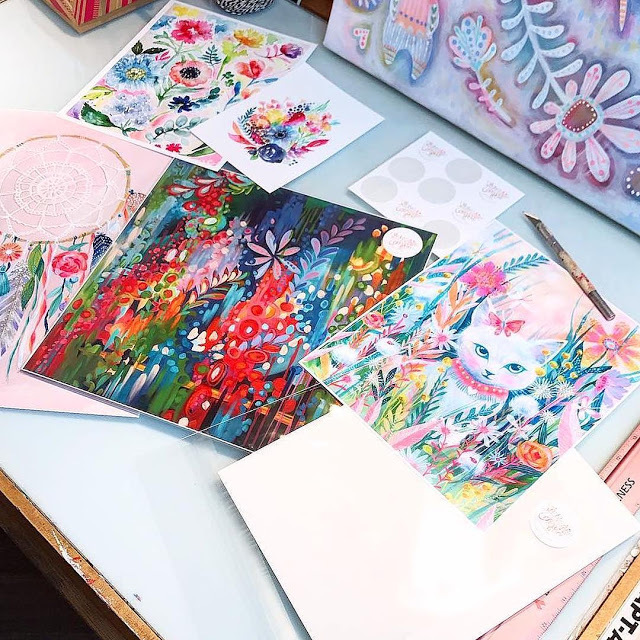 A few other things you could include are: a packing slip with their printed order, Certificate of Authenticity, or a customized card (that could include a discount for a future purchase). Extending these personal extras invite your customers to get to know you better and shows your commitment to your business. Even though shipping is one of the final steps of the process, you want to be sure that you are shipping your prints safely so they get where they need to go without any damage whatsoever. How you ship them just depends really on what you prefer. There are many options available to you, depending on the size of your work, how much money you want to spend, and how you want to present it. You can wrap your prints in tissue, brown paper, cardboard, or silk. A more expensive piece may warrant a fancy, boutique box for a more satisfying experience for your customer. Rigid mailers - For lightweight to medium-weight art prints, rigid mailers are perfect. They provide sturdy support and reinforcement for items that need to stay flat such as art prints. You can also find heavy-duty mailers that are thicker and designed to take on more weight. Airsafe™ Art boxes - Airsafe™ art boxes are specially designed to package art. They provide two inches of air space between your product and the outer wall to protect your art and are made of corrugated cardboard. Check out this demonstration of how to assemble these boxes and see how they work. Tubes - Another method of shipping prints is to roll them up and put them in tubes. This works well for lightweight pieces and for shipping more than one print. You will have to factor in the size of the package you are shipping when deciding what option to use. And remember to always support your photography and artwork with some kind of rigid backing, no matter which of these packages you are shipping them in. It always looks professional to use printed labels on your packages rather than writing them in on your own. And you may want to think about adding a "Do Not Bend" or "Fragile" sticker on each photography package you ship. Each of these make your packaging look so professional, which in turn showcases your brand in a great way! This post was written by ClearBags, the premier packaging company that specializes in Crystal Clear Packaging. ClearBags offers thousand's of packaging products. With over 4,000 styles and sizes in stock, they have what you need for your business. Visit www.clearbags.com to see more! Each week we search the internet and bring you our Top 5 photography deals, products, or services to help you grow your photography skill set and business! This course teaches you the techniques used by professionals to get the best shots - every time - even in the most difficult conditions. Want to take better photos? 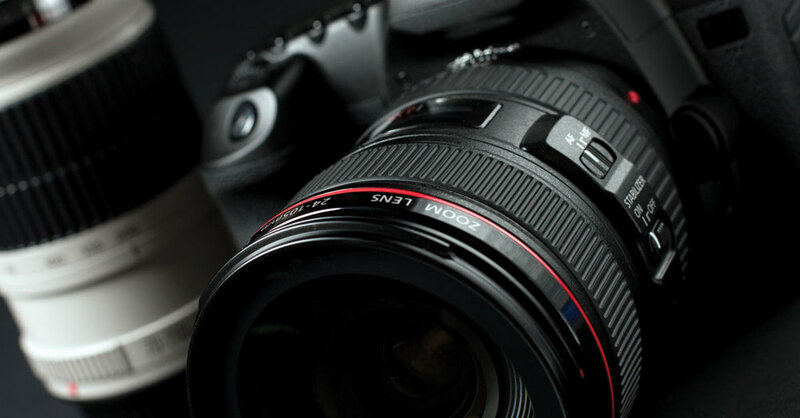 The New York Institute of Photography offers nine great online photography courses that will help you take your skills to the next level. Enroll online at www.nyip.edu. Purchase a voucher for $50 worth of Custom Packaging & USB Flash Drives at Photoflashdrive.com for $25. Also includes free standard shipping! Act Now - limited amount of discounted vouchers available! $50 vouchers for $25. Don't miss out! Learn exciting new ways to transform your work and create images that stand out from the masses, all for FREE! Limited quantity available - get it while supplies last! Different colors available too. In just 3 hours, master photoshop skills that will take your photos from "OK" to "Awesome!" Lifetime access, watch anytime. The perfect DVD/CD replacement kit and huge profit margin potential! Three great styles to choose from, and also customizable with your logo. Sold in 5 pack kits - that's only $10.00 for beautiful box and a custom 4GB USB Flash Drive PLUS free shipping for each 5-pack. Grab a Focus Pyramid, follow the simple directions and start making sharper photos immediately! Set your AF micro adjustment for each and every lens in minutes. Creative Pricing and Packaging for Photographers is designed to help you better convey your worth to your clients in such a way that engages interest and commitment. You can't put a price tag on closing more sales at higher prices! Well look no further than Ebates, which offers nice cash back bonuses on purchases at TON of major retailers as well as photography specific retailers such as Adorama and Canon. So if you’re looking to buy ANYTHING online (including cameras or camera equipment), you should ALWAYS go through Ebates to get extra cash back on whatever you order. Ok, so now you're probably wondering how it works, right? Create a free Ebates account by clicking here. Shop as usual and when you check out, pay with your credit card, and then in a day or two look out for a cash back credit on your Ebates statement. Ebates will then send you a check in the mail once every 3 months as long as your cash back total is at least $5.01. If you are under $5.00 during any given 3 month period then your earned cash back simply rolls over to the next period until it hits $5.01. The best part is that the Ebates cash back bonus you receive is in addition to any discounts retailers are offering through various sales, coupon or promo codes – so be sure to check your email and regular mail, and you can double dip on your savings. Here's an example of how you can save extra cash on that camera you've been dreaming of. Now, BEFORE YOU MAKE THE PURCHASE you should check Ebates to see if there is a cashback rebate option. If you're in luck, you'll see at least 1% cash back from Adorama, and you'll land on a screen that looks like the shot below. And THIS is where the magic happens...all you have to do is click on the "SHOP NOW" link! That link will redirect you back to Adorama where you can make your purchase, and then when you do you'll get 1% of your purchase credited back to your Ebates account! In this example you would save 1% of $2499, which comes out to an extra $24.99 for doing practically nothing! As soon as you have at least $5 in rebates built up in your account, Ebates will literally send you a check in the mail that you can deposit in your bank account. It's LITERALLY FREE MONEY! And the best part is that you don't have to use Ebates just for photography equipment...they have hundreds of online retailers listed (some with MUCH higher cash back amounts), so practically avery time you shop online you can get cash back into your pocket by following these simple steps. Note: We are part of the Ebates affiliate program because we love finding ways to help you save, win win!